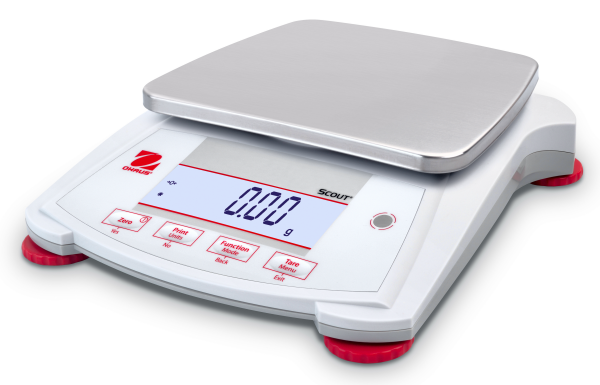 The Ohaus Scout SPX8200 portable balance has a capacity of 8200 grams and a readability of 1 grams with a pan size of 5.5 x 6.7 inches. The Scout SPX Gives You An Updated Scout Experience! The new Scout SPX takes everything you love about the Scout Pro, and makes it even better. With a bright LCD display and 4 button control, the Scout SPX brings you efficient operation and ease-of use. Better performance and higher capacities widen the range of weighing applications, while superior overload protection and impact-resistant pan support bring you the peace of mind you rely on from OHAUS.